This delicious Crockpot Pralines ‘n’ Cream ‘n’ Protein Oatmeal is positively packed with protein, whole grains, and calcium. It keeps me full throughout the morning—so it's a fantastic way to start the day. Plus, because it is cooked in your slow cooker, this creamy oatmeal is seriously easy. Made with Quaker® oats, flax, milk, candied nuts, protein powder, and condensed milk, this simple oatmeal is a wonderful breakfast for the whole family. I was inspired by one of my favorite ice cream flavors—and those flavors make this hearty breakfast tastes like a decadent treat. 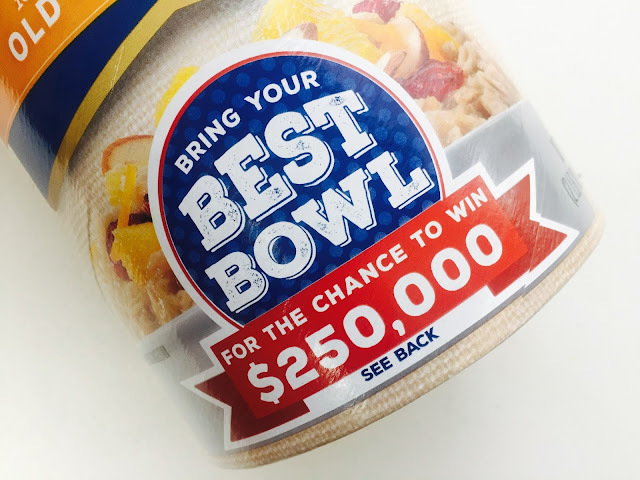 Quaker® is now having an awesome Bring Your Best Bowl contest: create your most delicious bowl of oatmeal with two to five extra ingredients (not counting oats and milk or water) for a chance to win $250,000. Not sure about you, but I could use 250,000 bucks! I decided to create a bowl of oatmeal that was comforting, hearty, and packed with flavor despite having just a handful of ingredients. My Crockpot Pralines ‘n’ Cream ‘n’ Protein Oatmeal fits the bill, I promise. I love to make food that is delicious but EASY. That's why I decided to cook this oatmeal in my Crockpot. Now, if you've ever made oatmeal in your slow cooker, you may have been traumatized by the amount of oatmeal that got shellacked to the sides of your bowl. It's like cement and it's a real pain to try to clean. However, if you use my water bath method, you'll have a ridiculously simple clean-up. Find a cook-safe bowl that fits easily inside the bowl of your crockpot. I used a medium-sized metal mixing bowl; a stoneware bowl or baking pan would work great, too. Grease this bowl well. Then add the oats, milk, salt, flax, and protein powder. Stir all the ingredients together. Pour about 3 cups of water into the bottom of your Crockpot. Place your bowl of ingredients in your slow cooker, into the water—you're basically using your bowl as an insert to your Crockpot, like a double-boiler. Cover and set on low for six to eight hours. NOTE: My slow cooker automatically switches to "warm" when the time is up; so, if I'm making this overnight, even if I'm still sleeping, the oatmeal will be warm and ready when we wake up. I actually like to set mine to six hours and then let it sit warm for a couple hours after that. When it's done cooking you'll have a lovely, creamy baked oatmeal. If you've never had baked oatmeal, it's less a porridge consistency and more like a bread pudding. Best of all, there is very little clean up! Look how clean that bowl is that we inserted into the slow cooker. Scoop your oatmeal into four serving bowls. Top with the pralines and a generous drizzle of sweetened, condensed milk. Lightly sweet, with a lovely balance of creamy oatmeal and crunchy nuts, this Crockpot Pralines ‘n’ Cream ‘n’ Protein Oatmeal is a wonderful, warm way to kick off your day! No slow cooker? Just cook your oatmeal with the protein powder in milk on your stovetop, then stir in the flaxseed, nuts, and condensed milk once it's done. Are you inspired now to Bring Your Best Bowl to the amazing Quaker® contest for a chance to win $250,000? Just head over to your local Target and look for the Quaker® section at the end of an aisle in the grocery section. You'll find specially-marked canisters of Quaker® old-fashioned oats, as well as some other ingredients that might inspire your own creation. Things like nuts, vanilla, dried fruit—Target has a fantastic variety of yummy ingredients to choose from! The Bring Your Best Bowl contest starts in January and ends in March 2016; the winner will be announced in November 2016. Check out the contest rules and then start creating your own delicious bowl of oatmeal. Good luck! For more inspiration—and to enter to win $250,000—head over to BringYourBestBowl.com now. 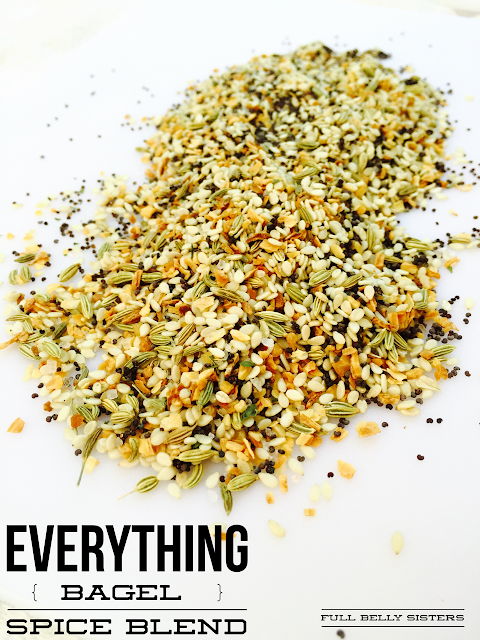 What are your favorite ingredients to add to oatmeal? Oh my gosh that looks absolutely delicious! I start most days with oatmeal so I can't wait to give this a try! This sounds wonderful! I've been eating healthy breakfasts lately and this would fit right in! I love that it's in the crockpot too! How did you make oatmeal look good? amazing. It really looks tasty! We LOVE this original and healthy idea! Thanks for giving us some useful inspiration using some of our favorite ingredients - and a crock pot! This looks super tasty. Great way to wake up in the morning. That sounds delicious and certainly a nifty way to start the day. Looks fabulous, my kind of breakfast!! Love this idea! And I especially love how you've used your slow cooker - that is an inspired idea! The flavours in this yummy oatmeal are fantastic - I like pralines 'n' cream ice cream too! Well, I think I'd eat more oatmeal if it looked like this! Amazing that you could make this look so good! Oh yes, this one has my name written all over it!! This is rather genius and I need to try making oatmeal in a slow cooker!!!! I love the idea of the condensed milk. This is a tasty oatmeal. A super delicious way to start the day! Thank you! I need to eat more oatmeal! I don't know why I don't...it is one of my favorite breakfasts! This looks delicious! I made this last night and it's PERFECT. I love the taste and the consistency. It was totally filling and yummy without being overly sweet. Might be my new favorite breakfast!! Baskin Robbins Pralines and Cream is my absolute favorite flavor of ice cream, so this recipe is calling my name...LOUDLY! I'm ready for breakfast, your pralines 'n cream oatmeal looks so delicious. This oatmeal looks outrageously delish! Thanks for sharing! Now that is some oatmeal!! This is the kind of breakfast I won't mind eating on a daily basis! Yum! Great recipe! Great to incorporate this into my diet.